One of the hearts of Geography is the search for a sense of place. Japanese haiku poetry does much the same thing. 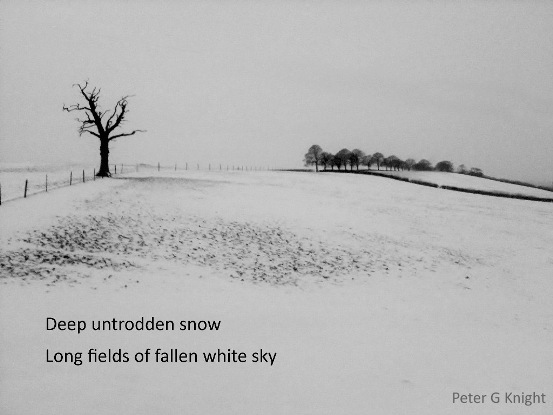 Haiku are essentially Geographical in nature, classically containing "season" words (snow, blossom, etc) and being about aspects of the natural environment. Over several years I started using Haiku as a way of training Geography students to look more closely at their environment and to communicate about it more concisely. Haiku can be a great Geography teaching tool! When time permits, I'll write more here about using GeoHaiku in teaching, but for now I just wanted to encourage students, colleagues and friends to have a go and flag up your efforts with the #GeoHaiku hashtag on twitter. the road alongside runs straight. #haiku 52'59'08" N., 2'14'50" W.
Leave holes for the rain. The rules are simple. Write a Haiku that fits into a tweet and is explicitly "Geographical" (or geological, or whatever, if you are of that persuasion!). Post it on Twitter with the #Geohaiku hashtag. For our game, something recognisably "Geo". If you want to be really Geo-Geeky you could add a latitude and longitude, or a grid reference. Or at least geo-tag the post. I've left the last line blank in this one for you to complete as you think best! Down long ago trails / On far flung isles to the north / The wind, the ground, ice.